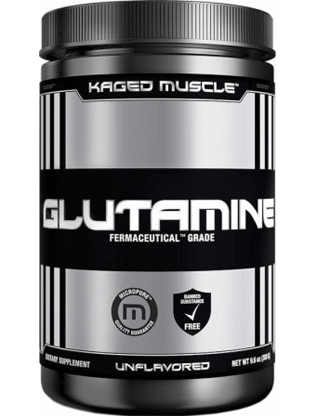 Glutamine plays the crucial role of increasing an individuals ability to build muscle, improve in strength training, and enhance an the body’s ability to burn fat at a faster rate. 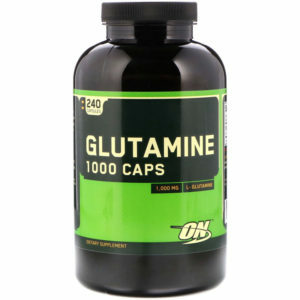 Glutamine belongs to the L-Amino Acid group and is a building block of protein. This amino acid is naturally produced by the human body when we eat foods such as fish, eggs, chicken, vegetables, and wheat products. The body requires rather large doses of Glutamine; concentrations which cannot be achieved by food alone. This is especially true for weightlifters. The body building function of Glutamine makes it all the more necessary for men as well as women to increase intake through supplementation. For the body to reach the required levels of Glutamine needed for bodybuilding purposes, you’ll need to supplement. Glutamine helps with protein synthesis,which is essential for rebuilding muscle tissue after a rigorous workout, thus it can help reduce recovery times which means you’re back in the gym and ready to tear up those muscles all over again. 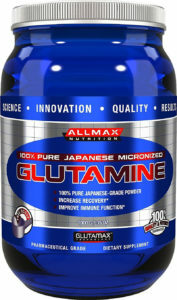 Glutamine is a non essential amino acid. This means that the body has the inherent ability to produce it naturally, however as we age, it becomes harder to produce an ideal amount. This amino acid is brings a variety of benefits to the human body as it facilitates healthy muscle tissue development and muscle repair. It is also the preferred energy source of tissues in the digestive system and the immune system. Glutamine is also a great source of energy at a cellular level. A healthy dose of Glutamine gives you the ability to use high levels of energy, which is obviously needed for strength training. Glutamine also promotes gastrointestinal health. Glutamine acts as an essential neurotransmitter to our brains as it enhances one’s mood. In other words, this stuff is very important to the body for a plethora of reasons. Glutamine is involved in gene regulation. It acts as the energizer for rapidly dividing cells, as it is a major building block of cells. Glutamine also acts as immune system booster as it promotes the division of immune cells when infection invades the body. Threats come in many forms such as colds, cough, fever, flu and other viruses. The best time to take Glutamine supplements is during mornings and evenings after meals. The recommended dosage for intake of Glutamine is between 5 and 10 grams daily. There are various forms of supplements available, which we’ll be taking a look at shortly. Glutamine is considered to be a stable and effective supplement that aids bodybuilders in achieving their ultimate mission: massive gains. For many serious lifters, it’s already a staple in their supplement cabinet. Although Glutamine is categorized as non-essential, it becomes essential when we put our bodies through rigorous training. Athletes find it a necessity to take in high doses of Glutamine as they regularly undergo long periods of high-stress through extensive physical exertion on a regular basis. Glutamine greatly enhances recovery and recuperation after intense training. Glutamine is the most abundant amino acid in the human body. Though not considered an “essential” amino acid, it is without question a “conditional” amino acid. There are 3 unique yet interwoven factors that can dramatically increase demand for glutamine within the human body; these include enhanced muscle exertion and recovery, immune support and gastrointestinal health. Stress is the ultimate enemy of the human mind and body. Glutamine is no exception to the ravages of stress. The stress hormone cortisol is “catabolic” leading to breaking down the body and tissues. 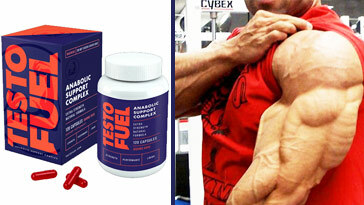 Whereas, the goal is an “anabolic” building mode. No matter how chill and no worries attitude you may have, living in the modern helter skelter world wears down even the most easy-going person. Remember stress is not just a mental state of mind, lack of sleep, long work hours or a hostile work environment, relationship issues, a cold or flu and even food allergens/intolerances are all perceived as enemies of the “state of thriving” not just surviving. L-Glutamine is the most abundant amino acid in the body and plays an important role in muscle recovery and muscle protein development. During periods of intense exercise, L-Glutamine levels can be depleted which may limit protein synthesis. Each serving of Glutamine DNA provides 5 grams of 100% micronized L-Glutamine, which may help support recovery post-exercise. 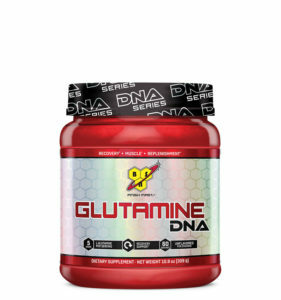 Also, Glutamine DNA is unflavored, so you can add to your post-workout protein shake or favorite beverage. 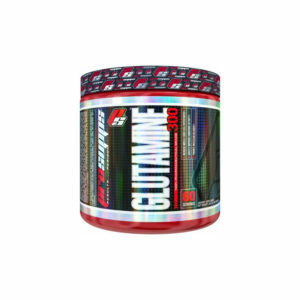 Pro Supps GLUTAMINE 300 aids those who take high dosages of Glutamine such as athletes who regularly undergo long periods of stressing their bodies through the many rigorous activities in their daily lives. Another prime example of those who should take Pro Supps GLUTAMINE 300 are for body builders who go through progressive training, wherein they constantly add weight to their bodybuilding regimens. Glutamine is an amino acid that supports muscle growth, maintain a healthy immune system and speed up recovery time after a grueling workout. You can lose up to 50% of your Glutamine levels during intense training. This makes you susceptible to catabolism (Muscle Breakdown). 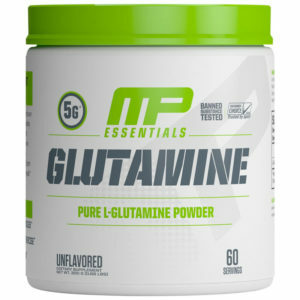 MusclePharm Glutamine combines three types of Glutamine into one strong, powerful formulation. Through three different yet highly effective blends of glutamine, your muscles, brain and digestive tract enjoy a tremendous range of benefits, including increased recovery and growth hormone facilitation. Glutamine also promotes a healthy digestive system so your body absorbs the protein and nutrients it needs after sustained physical activity. Also, expect enhanced rehydration and endurance, which leaves you with more energy in the gym. 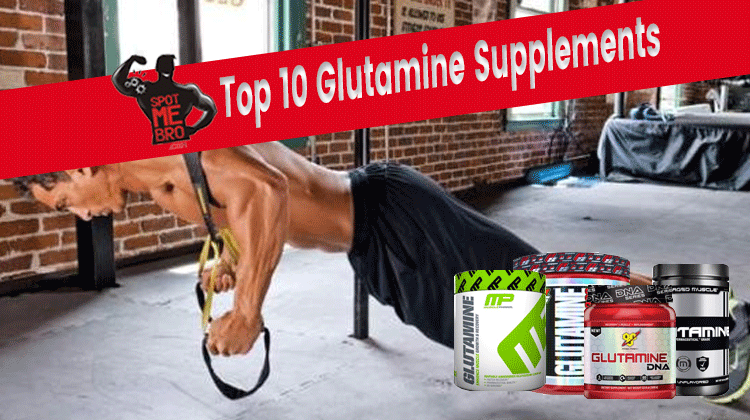 MusclePharm Glutamine delivers superior results! AllMax Nutrition uses only the purest raw ingredients. Their Micronized Glutamine is not heat or chemically treated. Glutamine is high in demand throughout the body. It is used in the gut and immune system extensively to maintain optimal performance. 60% of free-form amino acids floating in skeletal muscles are L-glutamine. L-glutamine plays a very important role in protein metabolism, and it appears to be a very important nutrient for body builders. When supplemented, it may help body builders reduce the amount of muscle deterioration that occurs because other tissues that need glutamine will not rob the glutamine stored in the muscle cells. Glutamine is the most abundant, naturally occurring amino acid in the human body. It constitutes more than 60% of the amino acids found in skeletal muscle and is the most concentrated free amino acid in the blood. Glutamine can be used as a building block for making more proteins (i.e. muscle), a direct energy source for making ATP (the energy currency of the body) or as a precursor for the formation of glucose in the liver. 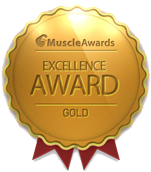 While skeletal muscle tissue is responsible for synthesizing ~90% of the glutamine found in the body, the most eager consumers of glutamine are the gut, kidneys and immune system. Glutamine is, therefore, vital for variety of biochemical functions ranging from protein synthesis to intestinal permeability, optimal immune function and the regulation of the body’s acid-base balance. Importantly, glutamine is considered a conditionally essential amino acid meaning it can be made within the body but requires intake from food or supplements under high stress conditions such as intense exercise, food restriction, injury and illness. 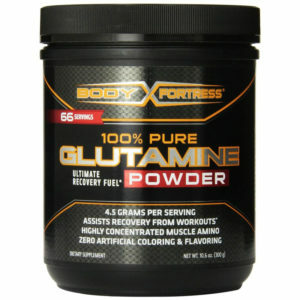 Body Fortress’ 100% Pure Glutamine Powder promotes total body recovery and muscle fiber recuperation. It is an excellent source of glycogen when combined with carbohydrates. Body Fortress’ 100% Pure Glutamine Powder also promotes bicarbonate production, which is highly important for buffering lactic acid produced during intense training. 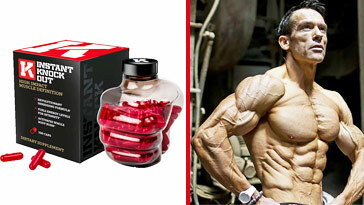 This is essential for those bodybuilders who work out hard every day and risk their bodies of not being able to produce the sufficient Glutamine for full body recovery that is essential for bodybuilders to maintain the high level of daily stress required in bodybuilding.. Body Fortress is undoubtedly a high performance recovery fuel due to the fact that each tub contains nothing but premium Glutamine. Training hard on a daily basis undoubtedly affects the body’s ability to produce high levels of natural Glutamine. This is where Body Fortress 100% Glutamine Powder comes to the rescue. This product optimizes recovery while simultaneously assuring positive protein metabolism and an excellent buffer of lactic acid production. 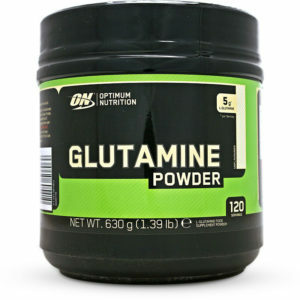 Optimum Nutrition Glutamine Powder is a very effective Glutamine supplement because L-Glutamine may support muscle recovery from exercise by providing minerals and vitamins lost in long arduous workouts that most bodybuilders endure on a daily basis. Optimum Nutrition Glutamine Powder greatly helps reduce muscle soreness and rebuild muscle tissue. Furthermore, Optimum Nutrition Glutamine Powder provides 5 grams of pure unflavored L-Glutamine which can be added to protein shakes. 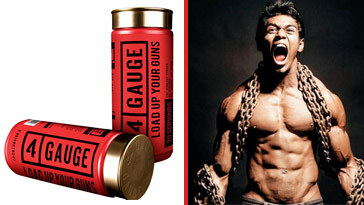 Bodybuilding.com Foundation Series Micronized Glutamine gives bodybuilders heaps of L-Glutamine. L-Glutamine accounts for more than 60% of the free amino acids in skeletal muscle and more than 20% of total circulating amino acids. 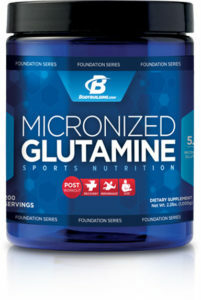 Bodybuilding.com Foundation Series Micronized Glutamine also benefits bodybuilders who participate in intense training, as their bodies can lose up to 50% of its glutamine pool to stress and fatigue found in intense workouts. Supplementing with Bodybuilding.com Micronized Glutamine can help promote recovery and support optimal results. 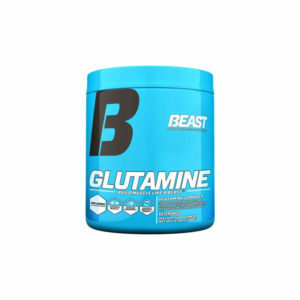 This Glutamine offering from Bodybuilding,com is an excellent intra and post recovery drink. It supports optimum muscle growth while simultaneously ensuring muscle recovery so bodybuilders like you see and feel results faster! Unlike other post-workout drinks, Micronized Glutamine does not feature any flavored variant, but comes in its regular tasteless form. This makes it possible for users to take it with other flavored supplements or drink it as is without the unpleasant aftertaste! Optimum Nutrition Glutamine 1000 Caps promotes rapid disintegration and maximum absorption which is essential for reproduction and regeneration. Glutamine supplements aid in the long term ability of the body to recover from long arduous exercises and workouts by aiding in the reduction rate of muscle breakdown within muscle tissues. Furthermore, Glutamine also enhances immune system protection and glycogen storage, as well as to increase growth of hormone levels in the body. Optimum Nutrition Glutamine 1000 Caps is perfect for those who cannot tolerate the tasteless and unpleasant post workout drinks that contain Glutamine. This is also ideal for those who lead busy schedules and cannot find the time to prepare a drink after a quick, intense workout. Optimum Nutrition known for their reliability in manufacturing supplements that promote wellness guarantees that their own Glutamine offering is made with high standards. In fact, its Glutamine Capsules is manufactured in accordance with Good Manufacturing Practices which ensures its customers that only superior glutamine was utilized in its production.